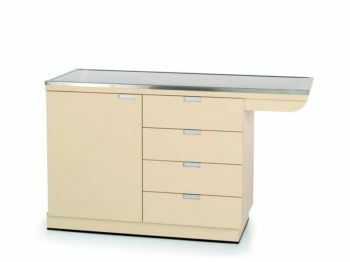 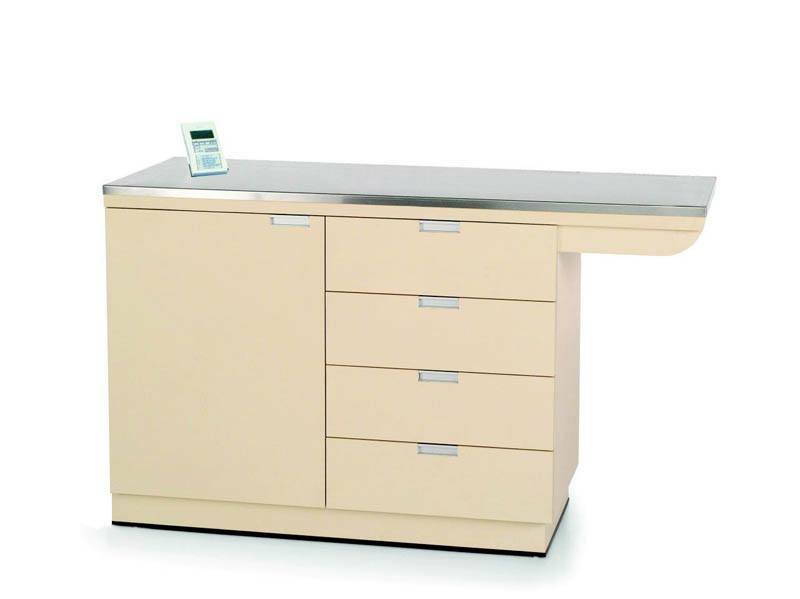 This multi-faceted VetLine Exam table is both a weigh and exam table. 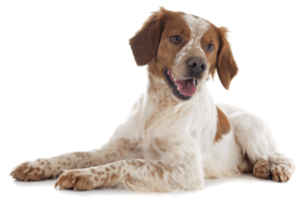 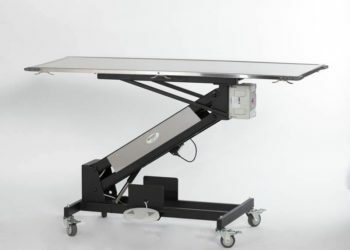 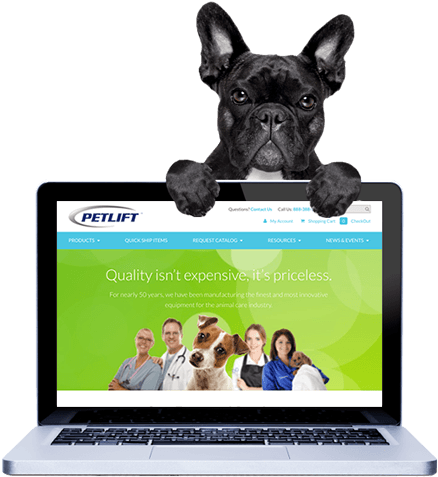 It has been designed with a knee space and equipped with a Vet-Tech 2000 quality scale. 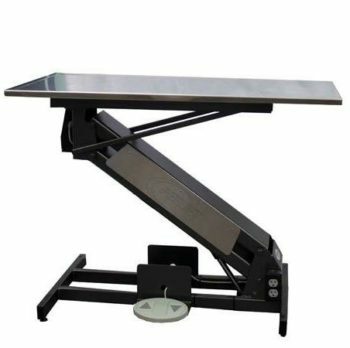 This high quality scale has a 400 lb. 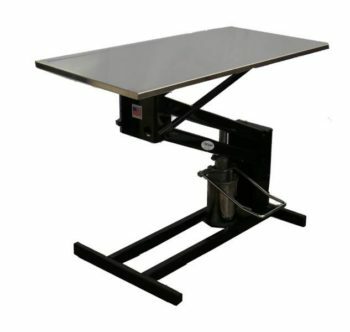 capacity digital scale, metric conversion display, motion weight average function and positive overload stop. 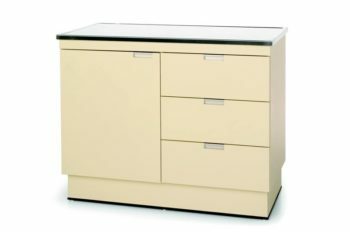 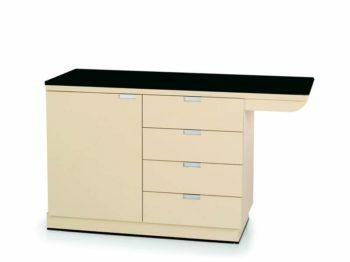 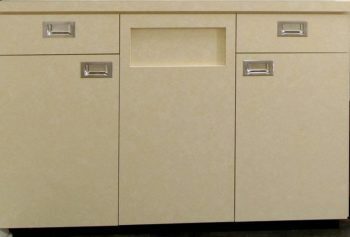 This cabinet has 4 full extension drawers and a spacious cabinet. 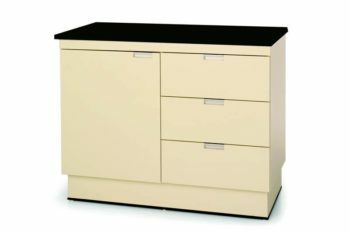 This unit is 36" high.